Is SA on the Brink of Fully Legalised Online Gambling? January 27, 2014 - South African online gambling fans are doing flick flacks down their high streets, with the news that South African MP Geordin Hill-Lewis is reportedly preparing to introduce an online gambling bill into parliament in the coming months aimed at finally legalising the popular internet activity in the nation. Currently, the only form of online gambling endorsed by the government - as laid out in South Africa's 2008 National Gambling Act - is sports betting. However, South Africa is a country with a long and strong gambling heritage, as demonstrated by its more than 35 licensed land casinos throughout the country, its numerous horse racing venues and accompanying totes, its bi-weekly National Lottery and Powerball Lottery draws, not too mention scratch cards on sale everywhere. As such, proponents of legalised regulated online gambling in South Africa have long been calling for the government to amend the National Gambling Act to include online games of chance and skill such as casino games, poker games and even bingo games. So if legislator Hill-Lewis - Democratic Alliance Shadow Minister of Trade and Industry - stands by his words, internet gaming fans may just get what they want. According to Hill-Lewis' proposed South African online gambling legislation, online gambling firms would be required to apply for and be granted (separate) licenses to operate in each of the nation's ten provinces. These licensees would then be overseen and monitored by a licensing agency appointed by each province, to make sure they conduct themselves openly, honestly and with integrity, to ensure player safety and protection. They in turn would be overseen by the South African national gambling board to ensure consistency and quality across the nation. In its current form, the bill follows a similar online gambling model that has been successfully adopted in Australia, where the respective states tax the popular activity within their borders - taxes used to bolster their coffers. Although still unconfirmed, a South African gambling online tax of between 6% and 10% is not being considered unrealistic, 70% of which would likely be retained by the respective province, and the remaining 30% earmarked for the national government. 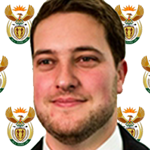 While online casino site fans are very optimistic that the pro South African online gambling legislation will go through sooner rather than later, online gaming legislation in South Africa is renowned for being put on the backburner, so whether Geordin Hill-Lewis can light a large enough fire to bring it to the fore remains to be seen.